*Update 06/27/2016* Item has sold! In light of a recent referendum that is tearing the European Union apart, here is a lovely shawl I made a few weeks ago. I have no idea what to do with this shawl. But it’s pretty. It didn’t take me very long to make. 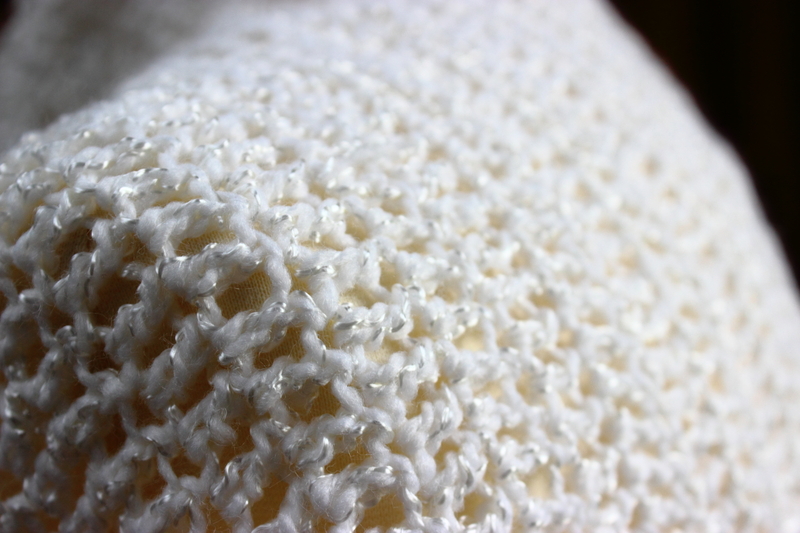 The yarn is a very soft acrylic, with polyester shimmer. Just a regular double crochet stitch with shell stitch trim. It’s very warm for an office type setting, although I probably wouldn’t wear it in the winter. I love yarns that have their own unique things about them. Makes it easier to make something simple that looks super fancy. Does anyone want it? There is only 1 of these. 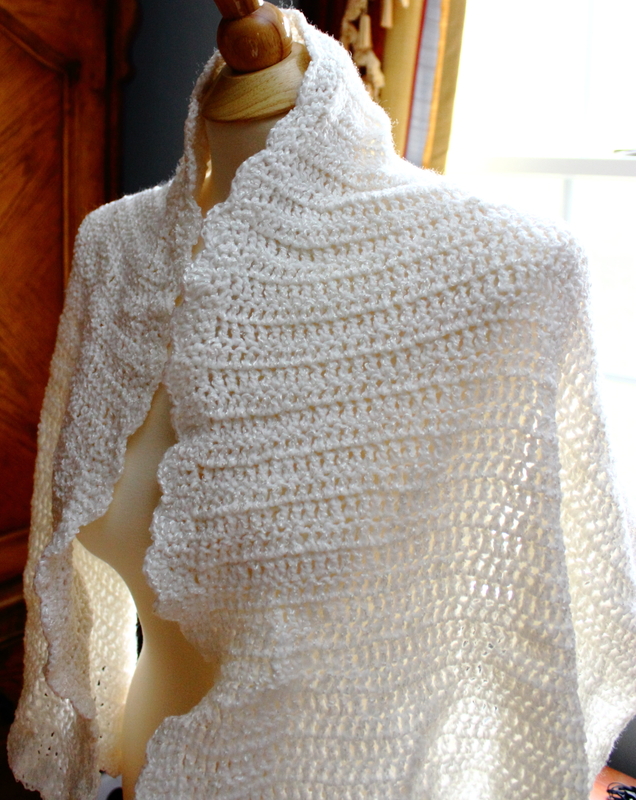 I don’t make more than 1 kind of knitted or crocheted item. Takes away the uniqueness of it.